LASIK procedures can correct nearsightedness, farsightedness, and astigmatisms and it’s a great, long-term or permanent solution to vision problems. However, it may not be right for everyone. Though only about 15% of our patients aren’t found to be eligible candidates for the procedure, we thought we’d share a few factors on how to tell whether or not you’d be a good candidate for LASIK. Age: Candidates must be 18 years old because people younger than 18 probably haven’t had their refractive errors stabilize yet. General Health: Good general health is required – serious health problems or current prescriptions may disqualify a person for LASIK procedures. Eye Health: Glaucoma, cataracts, corneal disease, and other eye conditions can disqualify someone for LASIK. In addition, amblyopia, strabismus, and other recurring eye problems or injuries may count as a negative. Pregnancy or Nursing: Hormones present in people who are nursing or pregnant can affect the stability of your prescription, so LASIK surgery is not recommended. Dry eyes: Those who suffer from continuous dry eye conditions should not undergo a LASIK procedure. Variable Prescription: People who experience rapid (within one year) changes in their vision could be disqualified for LASIK. Maintaining stable vision for at least one year before the operation is more suitable. Contact Lenses: If you wear contacts, talk with your doctor about LASIK. The procedure requires that you not wear your contacts for a certain length of time before it’s performed, but this duration varies for each person. Of course, there are other factors that could disqualify you for LASIK candidacy, so you should get a full vision examination and LASIK consultation before you seriously consider going forward with a LASIK procedure. Sound Eye and Laser has all the expertise, equipment, and services you need to transition from corrective vision to a LASIK surgery. 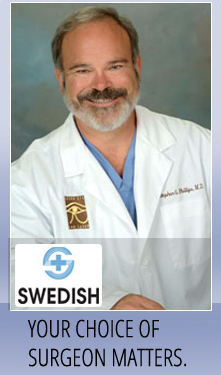 Contact us to schedule an appointment and find out if you’re ready for a LASIK procedure.